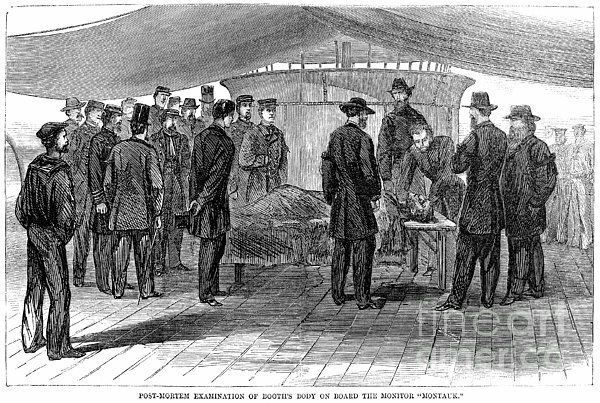 There are no comments for John Wilkes Booth. Click here to post the first comment. 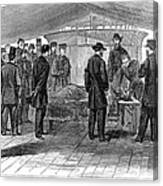 JOHN WILKES BOOTH (1838-1865). American actor and assassin of President Abraham Lincoln. 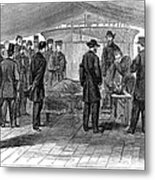 Booth's body on the decks of the monitor, USS 'Montauk,' at the Washington, D.C., Navy Yard, where it was brought after his capture and death of 26 April 1865. Contemporary wood engraving.